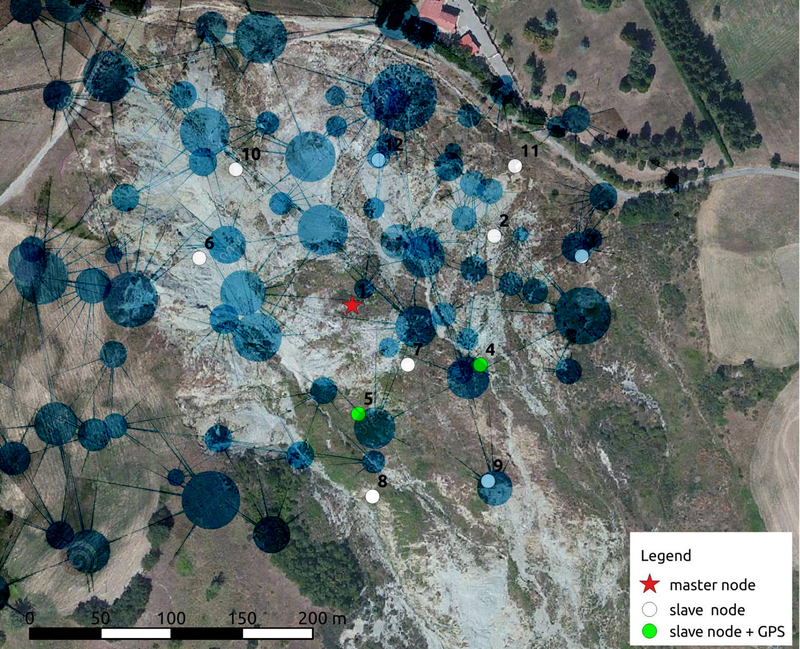 Develop an accurate, flexible and low-cost system for ground deformation monitoring. The Wi-GIM system is based on two types of wireless devices: the nodes (sensor node – SN) and base stations (Base Station – BS). 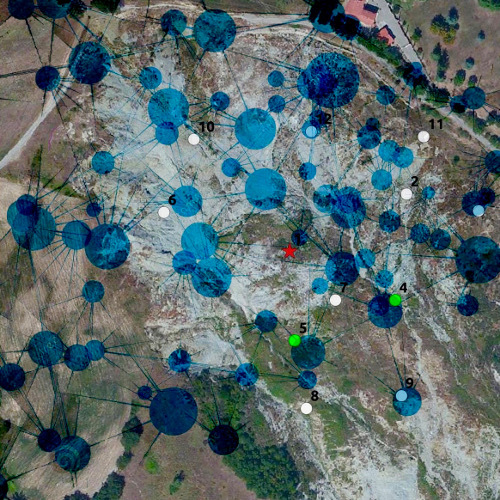 The movement of ground is detected by acquiring the position of each of the SN that are organized in a wireless sensor network (WSN), whose position is determined by integrating two different technologies, specifically designed for the purpose. The data collected by technology 1 are processed with the data collected by technology 2 in order increase the accuracy of the system. The displacements of the landslide can be then displayed in different modes, including 3D. Deep sleep and auto wake up procedures. Accurate Clock synchronization. Mobile network modem for internet connection, in addition to backup on local mass storage. Designing system for extreme conditions of the field (top of mountains, glaciers etc) was very challenging! !